This in-depth video training session introduces you to the Cassandra NoSQL database, from drivers to deployment. Through a series of group exercises, you’ll discover several new data modeling patterns in Cassandra that depart from the relational tradition in important ways. Learn how Cassandra delivers on its promise of horizontal scalability and fault tolerance, and how its log-structured storage subsystem helps it achieve impressive write and read performance. You’ll also look at some common administrative scenarios such as adding and removing nodes. To put Cassandra in context, Matthew McCullough and Tim Berglund present a brief survey of other players in the NoSQL space, including MongoDB, Neo4J, and Redis. 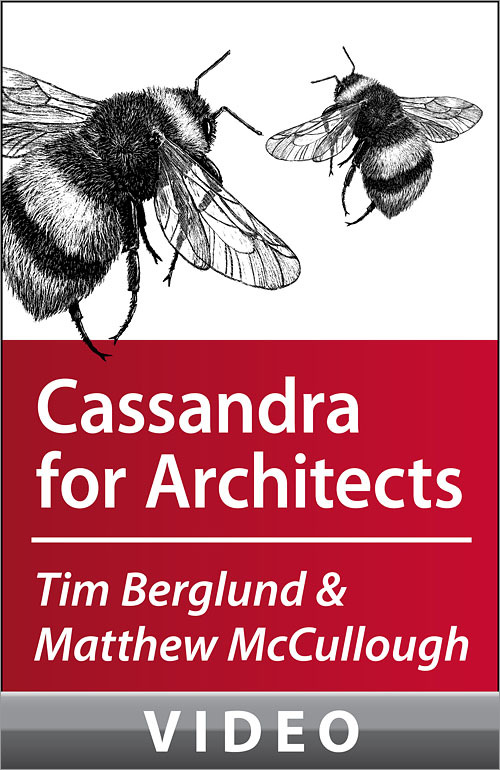 You’ll learn how Cassandra differs from the relational tradition, including its different approach to transactionality and how it impacts system design. If you want to explore Cassandra, or are considering adopting it in the near future, this video is for you. Why Cassandra and Not Something Else?